On Sale Now! Save 6% on the BLACKHAWK! Red Cross ID Patch - Coyote Tan by BLACKHAWK! at Freedom from Government. MPN: 90RC00CT. Hurry! Limited time offer. Offer valid only while supplies last. The BLACKHAWK! Red Cross Patch is smooth embroidery, not printed, with a hook backing with loop panel included. It can be sewn to clothing or gear. The BLACKHAWK! 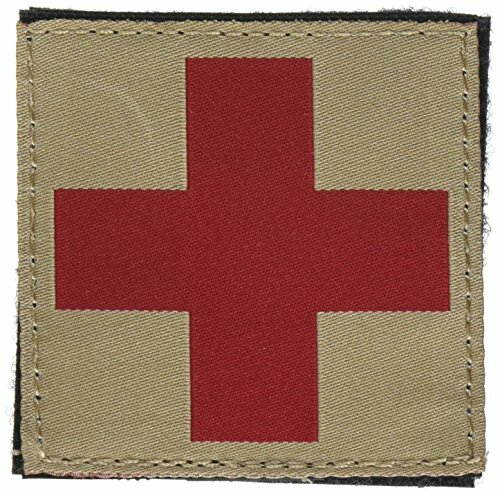 Red Cross Patch is smooth embroidery, not printed, with a hook backing with loop panel included. It can be sewn to clothing or gear. The patch is offered in black, olive drab, coyote tan, or foliage green; it measures 2.5" square. Available in Black, Coyote Tan, Foliage Green, and Olive Drab.